The Legend and Legacy of the Gold Krugerrand Continues! First struck in 1967, the Krugerrand is more than one of the world's most popular coins – it is a name that carries over 50 years of artistry, legends and stories. Whether you’re a Krugerrand expert or are just being introduced to this monumental series, now is a great time to make one your very own. This 2018 Fiftieth-Ounce Gold Krugerrand takes a step back in time to revisit the past while leaping forward into the future with the latest in technology. Each 2018 Fiftieth-Ounce Gold Krugerrand showcases all of the features that have made the series an enduring favorite. 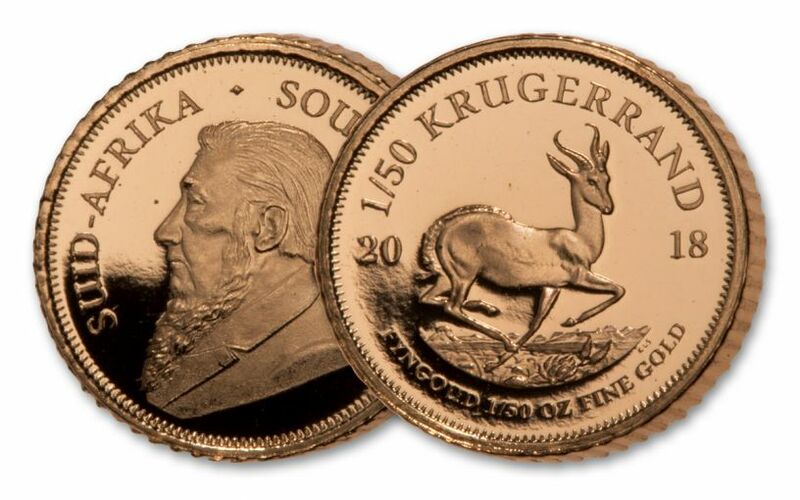 Gleaming 22 karat gold, struck into a South African legal-tender coin featuring former South African President Paul Kruger on one side and the iconic springbok antelope on the other. But look closer and you'll see something truly magnificent. 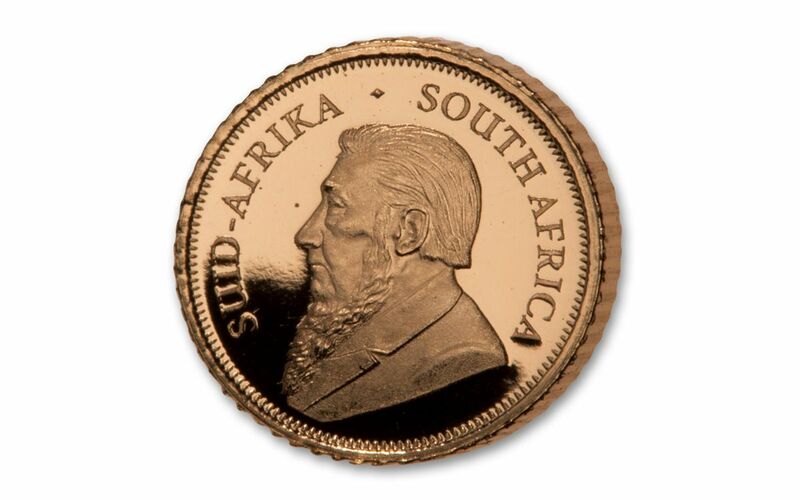 Through state-of-the art scanning and laser etching technology, the South Africa Mint has produced a Krugerrand with details that are more distinct and intricate than the Krugerrands of the past. Originally captured on the original 1967 etchings but unable to be transferred to dies until recently, these new "old" additions provide a stunning new dimension to a trusted favorite! Whether you've already brought a Gold Krugerrand home to your collection or you've been waiting to make one your own, now is the perfect time to join the party! But don't wait much longer – based on past history these coins will not last long. In fact, they are completely sold out at the mint! Get your 2018 Gold Krugerrand Proof today! STRUCK IN FINE GOLD – These 8 mm Krugerrands are struck in a fiftieth ounce of 91.7% gold. FABULOUS PROOF CONDITION – Your 2018 South Africa Fiftieth-Ounce Gold Krugerrand is in fabulous Proof condition, meaning it was struck multiple times under increased pressure to produce full mint luster and deep mirrored fields. 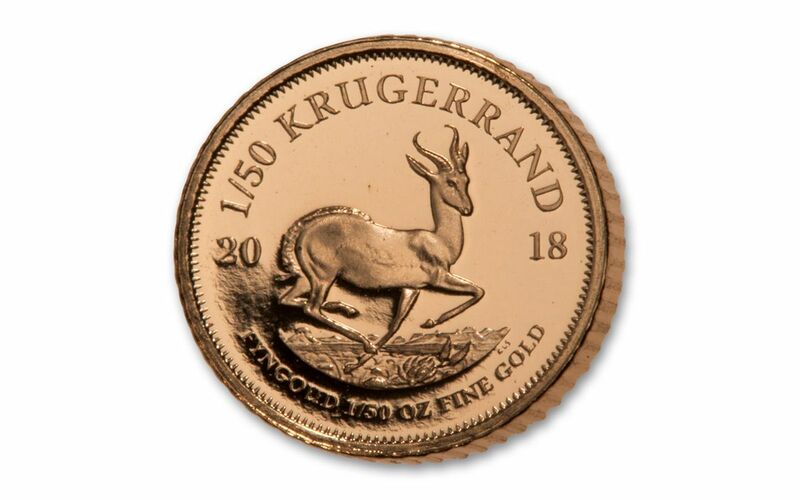 LOW LIMITED EDITION – The South African Mint struck just 50,000 Fiftieth-Ounce Gold Krugerrands Proofs in 2018, a number far too low for all the people in the world who would like to add one to their collection.They are sold out at the mint. Don't wait to claim this global phenomenon for your collection. Bring the 2018 South Africa Fiftieth-Ounce Gold Krugerrand home to your collection now!